Kuala Lumpur may be a bustling city or a concrete jungle. It is a place where traffic jams and sky scrapers have become a part of life. However, look closer and there is also a beautiful and treasured ecosystem of nature nestled within this very city. 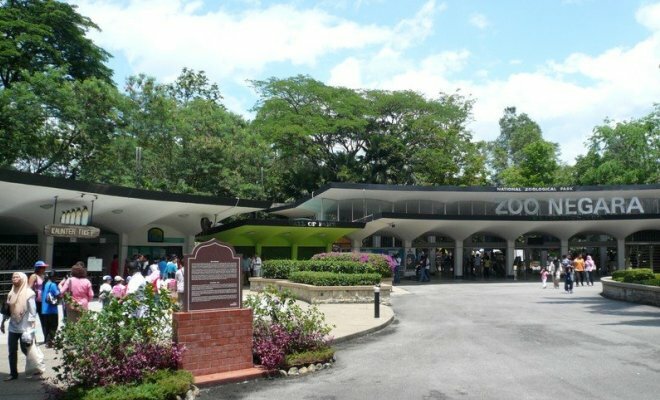 Wander through Zoo Negara (Malaysia National Zoo) to explore the wildlife that calls this zoo their home. It is certainly that there will not be a dull moment for any one at the Zoo Negara. For wildlife lovers, the National Zoo is the perfect place to include into your tour itinerary. The 48 years old zoo is also the best place for a family outing. Enjoy viewing over 5446 specimen from 476 species of mammals, reptiles, amphibians, fish and birds of the air; nature lovers will love every minute of their visit. Catch a glimpse of the exotic Sumatran tiger, the orang-utans and the mysterious False Gharial. You could also have the opportunity to ride on an elephant-certainly a memorable moment for you and your family or friends. If you do make it to the National Zoo, don’t miss out on the very popular attraction that has managed to win the hearts of many tourists who visited this place: the Tunku Abdul Rahman Aquarium. Here, why not view the many aquatic animals that never fail to mesmerize the public! Every Saturday, for a minimal fee, do join in on the fun at the BBQ pit at the zoo. There is nothing better than having a good BBQ meal at the zoo, indulging in food from an award winning Chef Zabidi Ibrahim. If this is not enough, the zoo provides you with live entertainment that will get you into the wildlife spirit even as you dine. The zoo is opened daily from 9.00 am to 5.00 pm so do make it to the zoo to catch a glimpse of the wildlife in all its glory. Start early-before it gets too hot! If you are taking the commute train, do alight at Wangsa Maju, on the Kelana Jaya line. From here, you can board a taxi to the zoo. If you choose to take the bus, you can hop on any U34 Rapid KL bus from the Putra LRT Station, Wangsa Maju or the U23 bus from Titiwangsa Station. There also is a number 16 bus from the Central Market. Gateway to theme park, shopping malls, entertainments and eateries. From budget inns to mid range and luxury hotel, perfect for shoppers and leisure travelers. Range of budget hotels and provide easy access to Batu Caves, Bukit Tinggi and Genting Highlands. Perfect for visitors on transit.